Liftomatic Material Handling, Inc., an industry leading material handling equipment manufacturer, recently expanded its line of innovative drum handling equipment to include the new model 3A-HD-BHDL, a below-hook drum handling system. 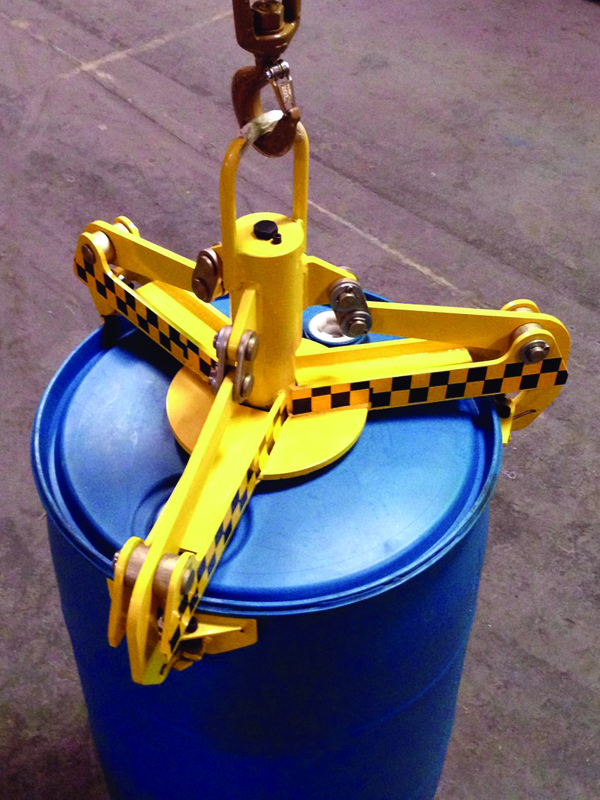 The 3A-HD-BHDL is a fully automatic and mechanical below hook attachment that can be used to lift 55 gallon drums from an overhead position for placement to or from many containment devices, scales, pallets or similar handling requirements. Drums remain in a vertical position while lifted and/or transported with the 3A-HD-BHDL unit. 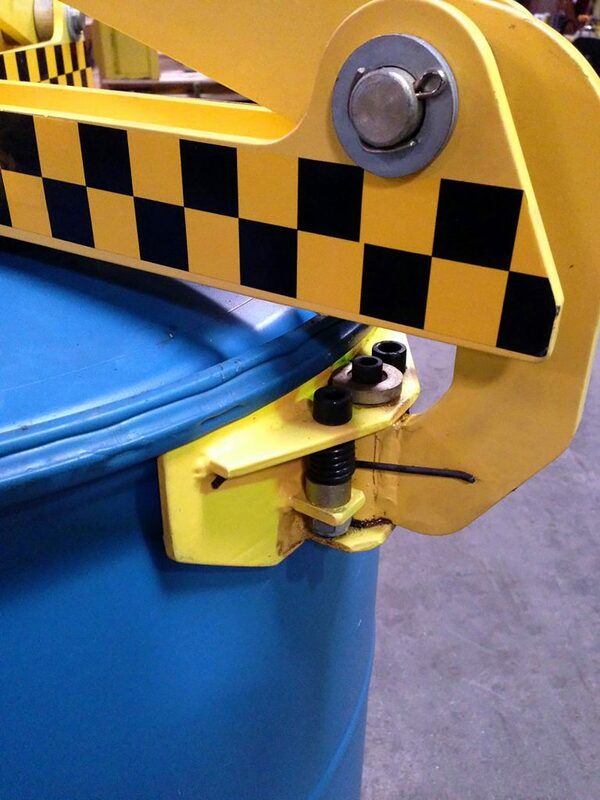 The 3A-HD-BHDL works with three radial arms that conform to the drum body and engage at the underside of the drum chime on nearly any 55-gallon steel or plastic drum. The unit has a working capacity of up to 3000 pounds/drum. The 3-point connection assists to maintain the drum’s integrity during the lifting process. A cutting-edge “intuitive-lock” engagement system ensures the radial arms remain in the locked position until the load is placed in its final resting location. Drums with a range of 21”-23” in outside chime diameter can be handled. The 3A-HD-BHDL can be attached to any overhead lifting hoist, or can be affixed to Liftomatic’s model FTB-3 forklift adapter, allowing the unit to be used from the underside of a set of forklift forks. The 3A-HD-BHDL is ideal for energy industries, environmental operations as well as general use where overhead lifting of drums is required. The unit was designed as a result of customer requests for a positive locking system assurance that eliminates the need for a manual locking and unlocking of the armature to a drum.